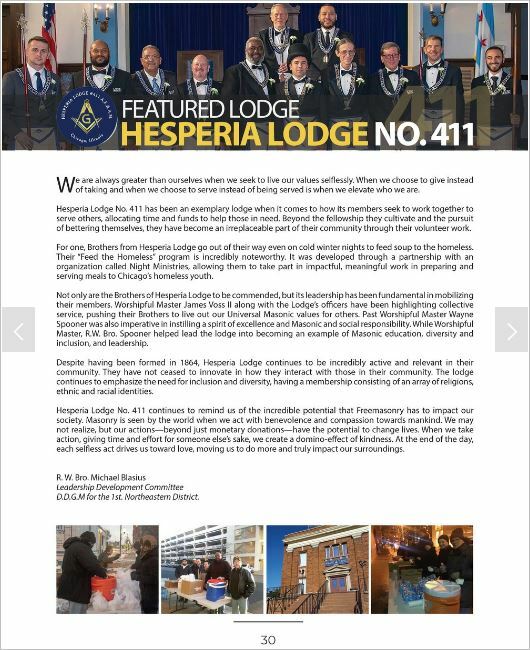 I am honored, humbled, and proud to be a member of our great Fraternity, but, more especially Hesperia 411! In the words of Bro. Paul Revere,”…this lodge will be an honor to Masonry, an example to the world, and therefore a blessing to mankind”.We should be proud to be those Masons that step up and seek to exemplify what the Craft is all about, to be not just men, but, Masons. 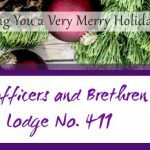 As the WM and current caretaker of this Lodge I can’t express my gratitude enough to all those brethren, past and current, that have made this honor possible.As workmen in the quarry we have plenty more to do in helping improve quality of life for those around us and therefore ourselves. As individuals we are truly practicing,”the domestic and public virtues”, as mentioned in our ritual. Remember,” Be especially careful to maintain, in their fullest splendor, those true Masonic ornaments-brotherly love, relief, and truth”.